Ladies & Gentlemen - it's time! 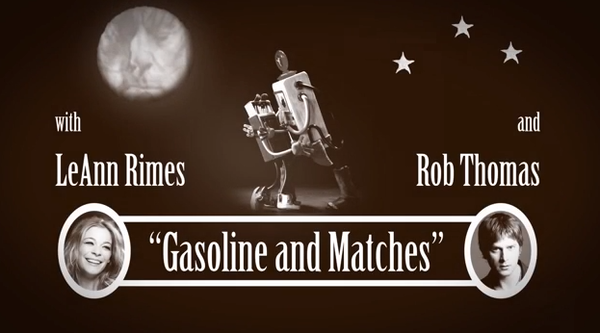 We are excited and proud to present you the brand new music video from LeAnn Rimes with Rob Thomas and Jeff Beck for their song "Gasoline & Matches". All of the footage and stop motion was filmed exclusively on the iPhone. Directed and Filmed by Ian Padgham. Produced by Darrell Brown, Ian Padgham and LeAnn Rimes.